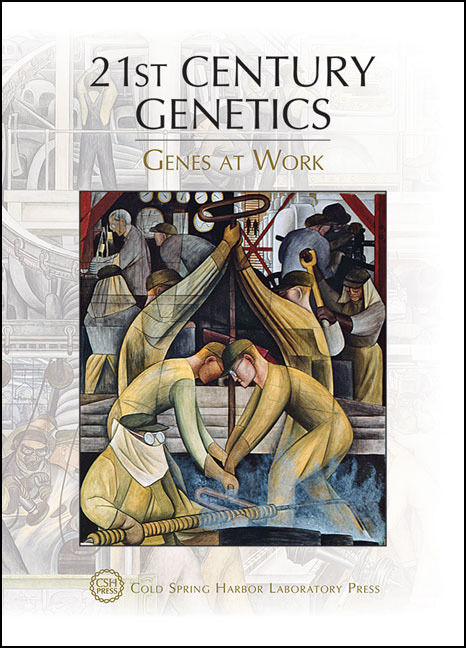 The Symposium Proceedings addresses 21st Century Genetics: Genes at Work, and provides a current synthesis of genetic mechanisms and genome/chromosome biology. This volume spans a broad range of topics that reflect our current understanding of genetic mechanisms in humans and other organisms. Themes include chromosome biology and nuclear structure, topologically associating domains, gene-enhancer interactions, chromatin and epigenetics, gene regulation and control, developmental regulation, RNA controlling elements, maintenance of genome stability, nuclear receptors, circadian clocks and aging, and genome editing. The Conversations included in this volume are based on interviews conducted during the Symposium and offer a broader anecdotal perspective on this fascinating subject by many of the world’s leading investigators. IMAGE: This is the south wall of a mural depicting Detroit Industry, 1932-33 (fresco), Rivera, Diego (1886-1957). Detroit Institute of Arts, USA/Gift of Edsel B. Ford/Bridgeman Images.